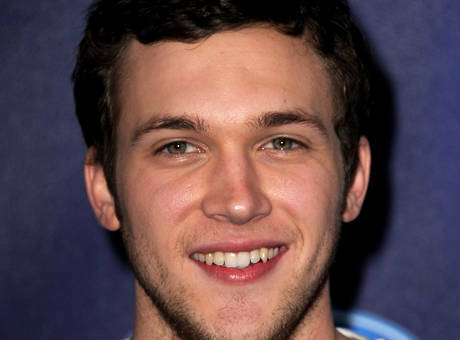 So last night I felt really good about the American Idol win of Phillip Phillips. I actually believed that he and and Jessica Sanchez are equally strong singers in their own genres. However, I think his win speaks to more of the win of someone who is closer to what I feel is a music artist is that is closer to songwriting and music process. It was a different choice for Idol. Coupled with his good looks , I guess it was a winning combination. Sanchez absolutely blew the house down with her duet with Jennifer Holiday with that moving musical power song “And I Am Telling You I Am Not Going.” It was magical to put Holiday’s seasoned legendary voice with newbie prodigy Sanchez. Breathtaking. Phillips with his unique voice won audiences with his quiet soulful renditions that speak to his own style. Then who not be moved as this winner, broke down and went to his family after being crowned this year’s American Idol. Yes, it was great Idol season with some of the best talent we have seen over the years and some of the best TV moments. Now, the season finale of Revenge happened the same night where no happy endings where to be had, but just surprise nail biting cliff hangers. I love this wonderful guilty pleasure of mine. The finale brought more layers to the story and even more depth to the characters. Revenge is does not follow the sudsy soaps formula we have seen in the past but has integrated high level drama, mystery and thriller like epic story-lines. It is a favorite of mine. Kudos to the acting talents of the two main characters Emily Van Camp ( Emily Thorne) and Madeleine Stowe ( Victoria Grayson) who have garnered the market on the top female dominant characters on TV. Also, Gabriel Mann as Emily’s co-hort in all things revenge, Nolan Ross, is a scene stealer with some of his character’s antics. You would think the revenge plot line of a young woman returning to right the wrongful accusations laid against her father and his murder against the guilty bunch of wealthy, powerful people responsible would lose steam. Not with this show! It has only has started to gain real momentum. Every juicy episode is an eye opening roller coaster ride. I cannot wait for next season. Catch up online or on reruns during the summer if you have not seen it. I promise you will become a fan.